« Spring is Definitely Here! 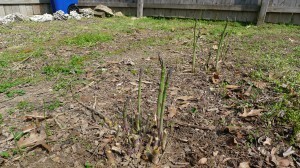 This year’s asparagus crop is a reflection of the damaging heat and drought we experienced in St. Louis last summer. Out of the 15 plants I started w/ last year, only 7 have survived. The rest died from an insect infestation last season. 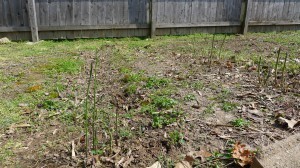 The surviving plants are producing stalks that are much smaller than those from previous years. I plan to dig up the remaining plants after they have finished producing for the season and start from scratch w/ a new batch of asparagus crowns. Fingers crossed for the rest of this growing season!